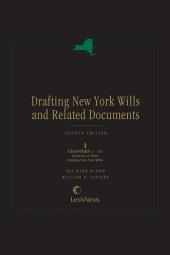 Complete drafting system for New York wills, trusts, and advance directives. 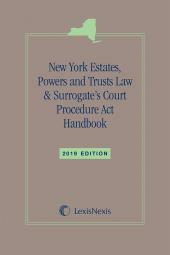 This new edition is organized into parts covering drafting wills, revocable trusts, advance directives, and retirement and estate planning. • Checklist of more than 150 items to consider when drafting a will or testamentary trust. 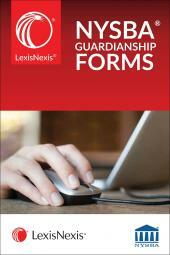 • Over 700 will clauses for specific purposes, keyed to the checklist. • All complete wills, trusts, and clauses included on a complimentary CD for use with any word processing system. • Wills and trusts are accompanied by discussion of applicable EPTL and SCPA provisions, federal and state tax considerations, and case law and IRS decisions necessary for drafting. Ira Mark Bloom is the David Josiah Brewer Distinguished Professor of Law at the Albany Law School of Union University. Professor Bloom is a nationally recognized expert in estate planning. He has taught, written and lectured in the area for over thirty-five years. Professor Bloom is an Academic Fellow of the American College of Trust and Estate Counsel and member of the American Law Institute. He is the immediate past Chair of the Trusts and Estates Law Section, New York Bar Association, previously served as Chair and Vice-Chair of the Taxation Committee and Chair of the Multi-State Practice Committee, and currently serves on the Officers' Committee of the Trusts and Estates Law Section. Professor Bloom is also the Section's liaison to the EPTL-SCPA Legislative Advisory Committee. 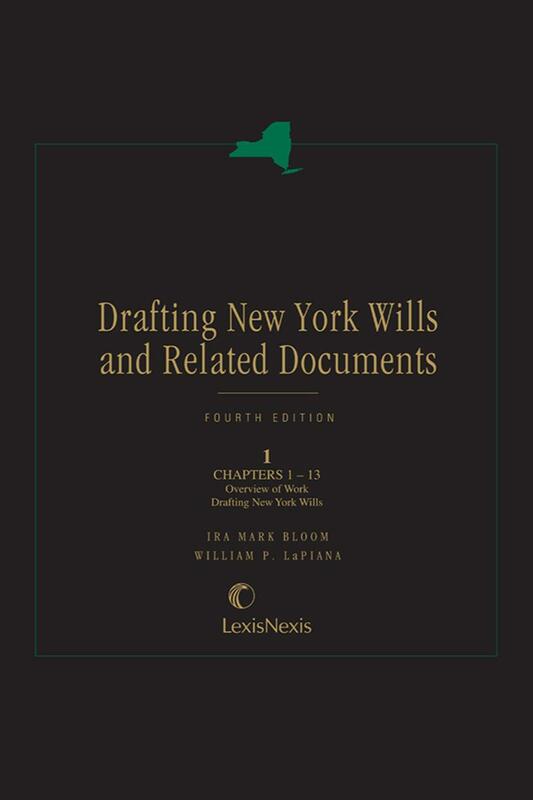 William P. LaPiana is the Rita and Joseph Solomon Professor of Wills, Trusts, and Estates at New York Law School and Director of Estate Planning in the Graduate Tax Program. After four years of practice at Davis, Polk and Wardwell, he began teaching in 1983. A member of the American Law Institute and an Academic Fellow of the American College of Trust and Estate Counsel, he has presented numerous continuing legal education lectures and has written on estate planning and legal history. He was reporter for the Uniform Disclaimer of Property Interests Act and ABA advisor to the drafting committee for the Uniform Power of Attorney Act. Professor LaPiana has been a member of the Council of the Real Property Trust and Estate Law Section of the ABA, of the Executive Committee of the Trusts and Estates Section of the New York State Bar Association, and is currently a member of the Executive Committee of the Trusts and Estates Law Section of the Association of American Law Schools.